In 1968 Fairchild company of US developed the first silicon plainner transistor with photo etching and diffusion technique. Mass production became easy as they can put as many models as they could on the master photo films. Base on photo etching more complicated integrated circuit was made in 1970’s, (TTL CMOS etc) and then LSI (large scale integrated-circuit) and micro processors (CPU). 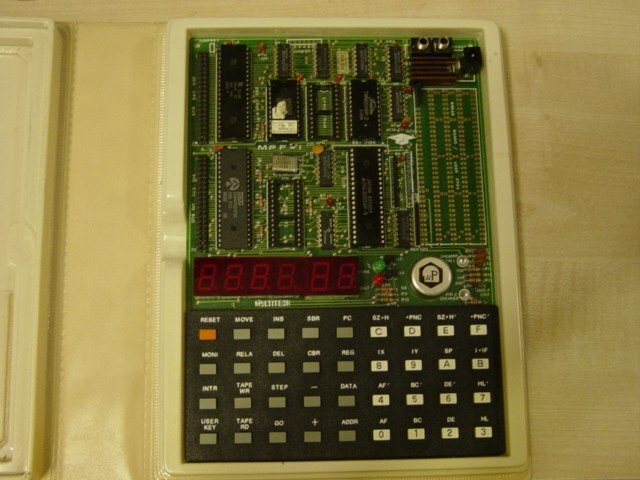 Zilog introduced 8 bit Z80 CPU in 1977 with software CP/M and became popular soon, but left behind in about 1984 due to 16 bit 8086 CPU by Intel, 8086 soon became IBM personal computer standard and shared almost 95% world wide market, Apple only shared 5%. Z80 found another position of machine control application and shared certain market so that it existed until to-day, but hundreds of other not famous brand CPUs extinguished. 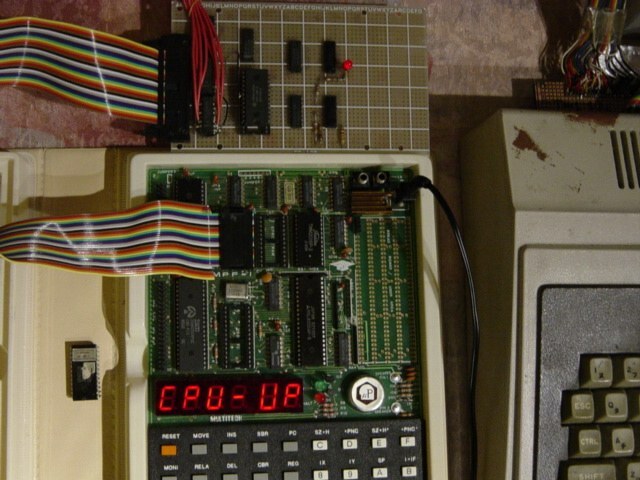 I bought a uP MPF-1 single board computer with Z80 processor in 1981 for a project of stepping motor control to drive a astronomy telescope. To deal with Z80 machine language in MPF-1 is not easy, manual translate to machine code is bore and debug is impossible almost. 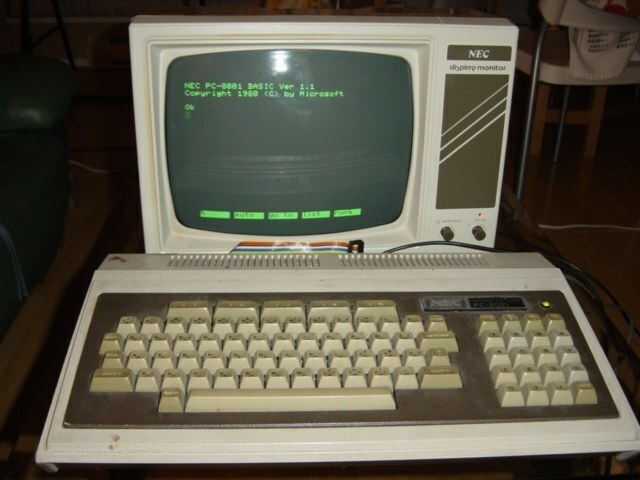 I understood assembler is a must for the project so I bought a NEC PC-8001 and assembler software, it can handle the key in source code to create object machine code. In early 1980’s this is luxury for amateur purpose. I start to develope control program and burnt the EPROM (eracable/programmable ROM) and run on MPF-1. 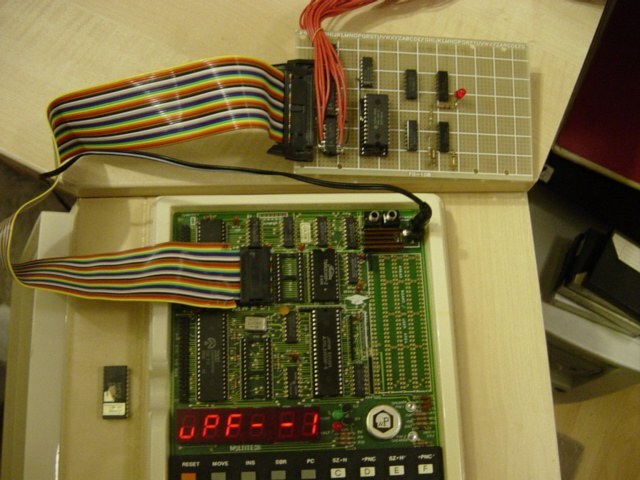 Soon I found the debug and switching/erasing the EPROM between two machines was time consuming and EEPROM (electrical erase ROM) was not yet avaliable in early 1980’s. I built a ROM simulator, which is a static RAM connected to electronic switches so that it can be switched between two Z80 machines, the master (PC-8001) can write data on it and then hand over to slave (MPF-1) for read only purpose, so I can use assembler to creat/ debug and re-write the machine code to RAM from master and then run and test on slave without physically changing the ROM. 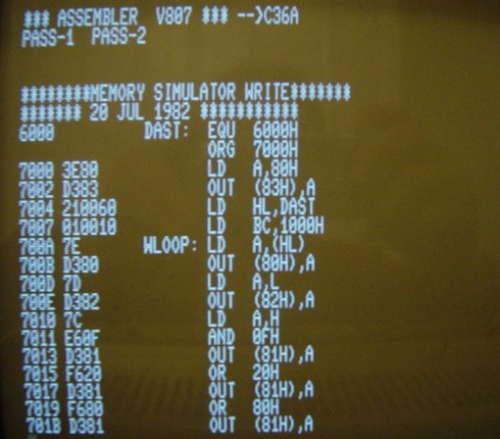 The simulator can also work for any Z80/8085 machines which use 2716 or 2732 EPROMs, just connect the simulator plug to the 2716/2732 socket and then as if there is an EPROM. For demonstration purpose, I copy the MPF-1 system monitor program to the simulator and then connected it to MPF-1, now it can start up without the ROM but the simulator instead. As the simulator porgam can modify so that MPF-1 single board machine easily becomes a Z80 CPU, PIO, CTC and 8255 chips tester.